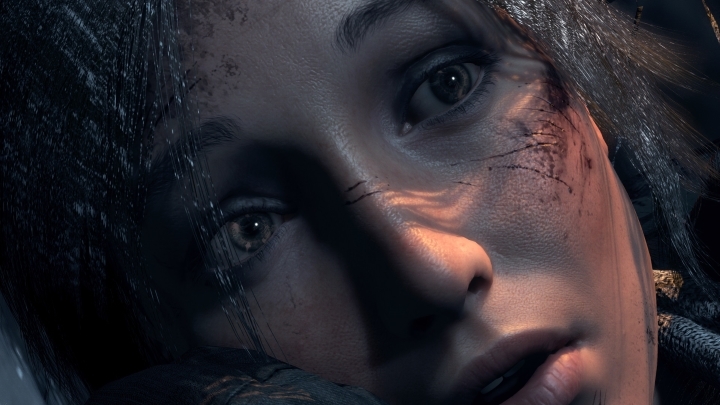 There was quite a bit of controversy surrounding Rise of the Tomb Raider last year when Microsoft revealed that the game would be an Xbox One timed exclusive, meaning that PS4 owners would not be able to get their hands on the latest game to star Lara Croft until a year later. Thankfully though, Rise of the Tomb Raider is coming to the PS4 next month, and the “20 Year Celebration” edition of the game will include all the content seen on Xbox One, plus a few extras such as the Blood Ties DLC. 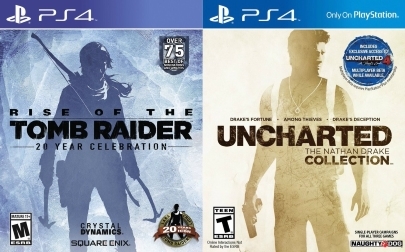 But the upcoming PS4 edition of Rise of the Tomb Raider has also stirred controversy for another reason, and this is how similar its box cover art is to that of the Uncharted: The Nathan Drake Collection game. As can be seen in the image below, both covers feature similar lettering, colouring and protagonist silhouettes. Uncharted director Neil Druckmann also quipped in about the matter, tweeting a funny line about the game’s box art similarities. The Rise of the Tomb Raider cover has not been the only controversial one in gaming though, as other video game covers have also caused controversy in the past. A recent example was Bethesda’s cover for the Doom video game, which was criticized for being bland, generic and not that exciting really. That cover featured a lone muscle-bound marine, and could be mistaken for the cover of any generic sci-fi action game, were it not for the word “Doom” on it. Going back to the Rise of the Tomb Raider cover, it is obvious that there are similarities between its box cover art and that of The Nathan Drake Collection, although it would be fairer to say that the artist behind the Rise cover has likely paid homage to the Uncharted Collection box cover art, rather than calling Rise’s cover a rip-off… And let’s not forget that the Uncharted games were inspired by Lara’s adventures in Tomb Raider, too. But what matters is that Rise of the Tomb Raider is finally coming to the PS4, and that after a long wait owners of Sony’s console will be able to play what undoubtedly is one of the best Tomb Raider games in recent memory.